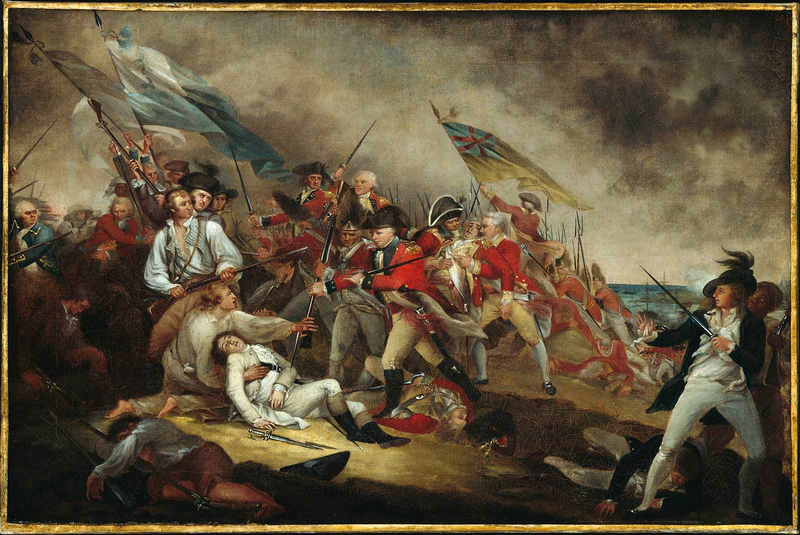 Today, being the 242nd Anniversary of The Battle Of Bunker Hill and the death therein of that great Patriot, Dr. Joseph Warren, it is fitting that On The Causes And Effects Of The Present Crisis In America be published, for it concerns itself, as did Dr. Warren in his time, with fighting back against the vile cancer known as Despotism. The greatest victory the Left In America has achieved, one that has cut a swath of Misery and Dislocation across every single area of American Society, is the implanting of Leftist Thinking in every American’s Soul. —And they have done so while convincing us that that was exactly what they weren’t doing and, yet — most importantly — that their way of thinking is Normal, while the traditional American Way is Abnormal, is Evil. To varying degrees these days, we a ll think like Leftists think — so ‘brainwashed’ and propagandized, have we become. Some have willingly let their Hearts and Minds be Encompassed, some have no clue that they have been successfully Propagandized, and some have Resisted, but the disease is so widespread in every nook and cranny of our Souls that we can’t shield ourselves from all of Leftism’s spreading Cancer. Leftist Thinking is based in Fantasy — in the not-Real, in delusions produced by dreamy abstractions developed in the minds of it’s Masterminds, far away from the Real World and Human Experience. The solutions it offers, the goals it seeks to achieve, therefore, are contrary to what is Right and Good, and are like a Cancer metastasizing in the American Soul, rotting away at that Grand Spirit that animates it and nourishes it. In other words: This work will attempt to explain the origins of The Present Crisis. It will further show why Leftist Thinking is so dangerous, why everything it touches and controls it Corrupts — why it must be overcome and we, the American People, Decontaminated of it very soon or we shall find ourselves either Enslaved to, or eliminated by, those Tyrants who are in positions of Power And Control in America. 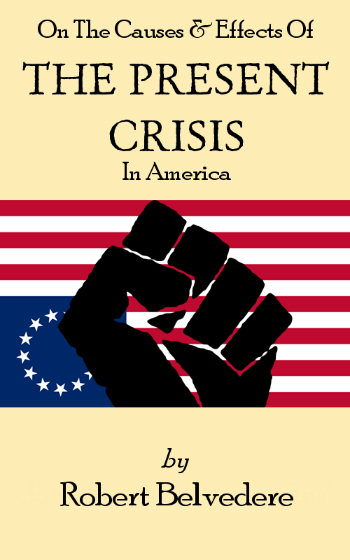 Today marks the publishing of the PDF Version of The Present Crisis — the paperback and e-book versions will be available in the coming weeks. This PDF Version is available for no charge.